Are you ready to race one of the largest triathlons in the world? Not only is it a beautiful setting on the shores of Lake Michigan but the course winds through Chicago's Museum Campus to provide an ultimate urban tri experience. Plus, the weekend is packed full of events to satisfy everyone, including a SuperSprint and Kids Tri on Saturday, and a Sprint and Olympic distance on Sunday. When you join Dare2tri Race2Raise you get to achieve your own health and wellness goals and support Dare2tri athletes in achieving their goals. 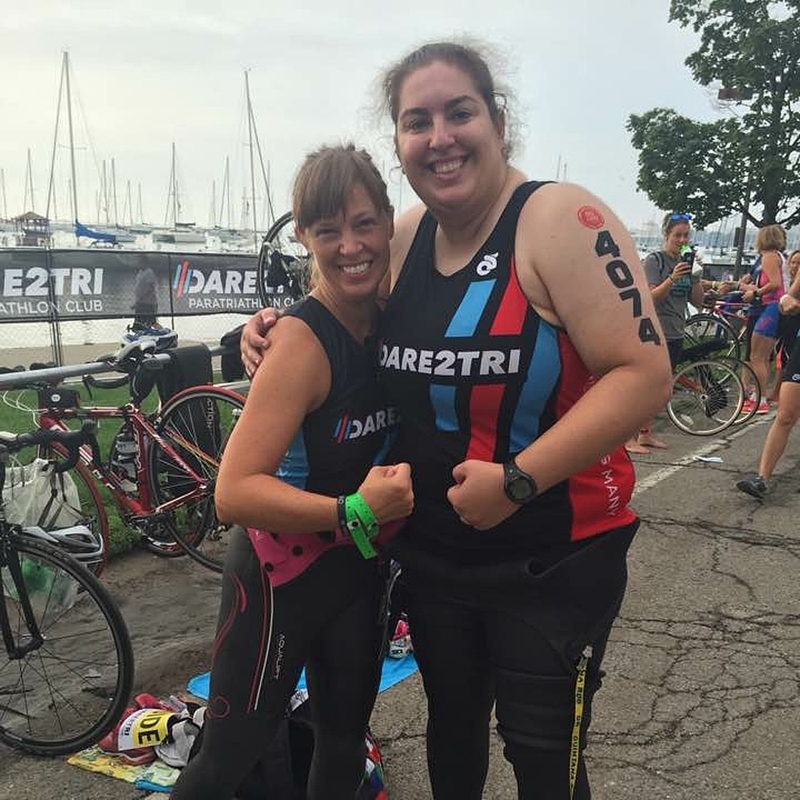 Dare2tri transforms the lives of people with physical disabilities by helping them get active through the sport of triathlon. When you join the Dare2tri Race2Raise Team and commit to reaching your fundraising minimum of $750 we’ll cover the cost of your race entry fee! The biggest benefit of joining Dare2tri's Race2Raise team is that you'll become part of a community that believes ability is limitless when you set your mind to something. Become a fitness revolutionary. Join us!